The best theme park rides use a lot of razzle-dazzle to immerse guests in their alternate universes, but they never forget to effectively tell a story. Engaging your senses, enveloping you, and placing you at the center of the action, great attractions make you forget about the technology behind the illusions and transport you to magical places. 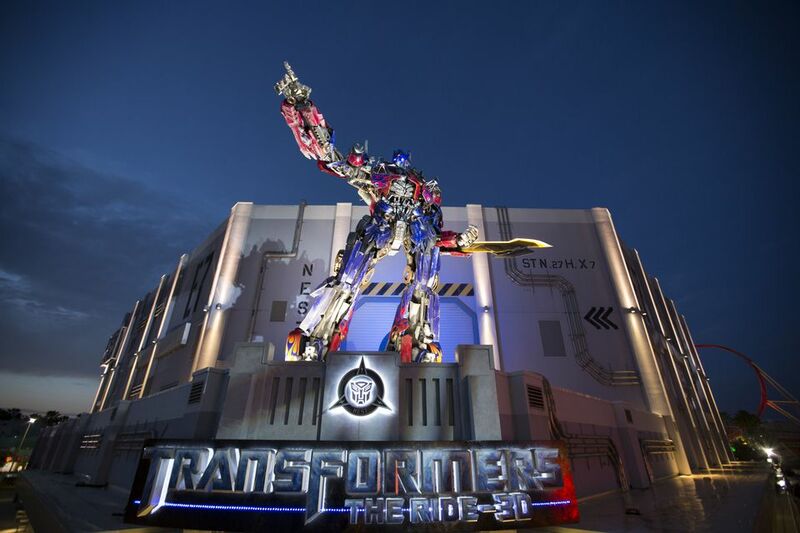 The best ride designers know that parks are all about shared experiences and many of the top theme park rides use well-known characters as the basis for their storylines. By tapping into the cultural zeitgeist, the rides are able to jump right into the action without having to acclimate riders. As you might expect, Disney, with its long history and an incredible portfolio of themed attractions, dominates the list of best theme park rides. But the Universal parks have a strong presence. This list considers parks in the U.S. only. There are some wonderful attractions in other parts of the world, such as Journey to the Center of the Earth at Tokyo DisneySea and the Pirates of the Caribbean ride at Shanghai Disneyland (which is better than the original). Note also that the best attractions are all story-based rides. While many incorporate thrills, that was not the primary aspect in determining the list. From the queue that winds through the Hogwarts School, to the innovative robotic arm ride system and the combination of real sets and projected media, everything about this attraction conspires to wholly immerse guests into the world of Harry Potter. It is a remarkable achievement that immediately leaped to the top of the best attractions list. The Wizarding World of Harry Potter is located at both Universal Orlando and Universal Studios Hollywood. This incredible attraction combines a groundbreaking roving motion base simulator technology with a 3-D film experience to totally immerse riders in the world of Spidey and his archenemies. The height of park design and creativity when it debuted, Spider-Man borders on mind-altering. You can immerse yourself in the Spiderman saga at the Islands of Adventure at Universal Orlando. Flight of Passage takes the "flying theater" concept that Disney developed for its Soarin' rides (which also make the list of best theme park attractions) to the next level. Riders not only take wing aboard a banshee to fly above Pandora, but they can also feel the creatures' diaphragms expand and contract as they breathe. It is an utterly convincing, transporting, and ethereal experience. You'll find Pandora the World of Avatar at Disney's Animal Kingdom at the Walt Disney World Resort in Bay Lake, Florida, near Orlando. You'll find Escape from Gringotts at The Wizarding World of Harry Potter at Universal Orlando. Decades after Walt Disney helped design Pirates of the Caribbean (but sadly did not live to see it open), it remains one of the most popular and inventive theme park attractions. It inspired the film series, which in turn inspired revisions to the classic ride. Among its many highlights, there is a great theme song. The best theme park designation refers to the original California version of the ride (with its float-by of the Blue Bayou restaurant, multiple drops, and extended grotto scene). The Orlando clone is a bit truncated. This favorite classic is found at Disneyland and the Magic Kingdom at Walt Disney World. The Tower of Terror really pours on the thrills. But its special effects and storytelling are truly dazzling. The incredible Fourth Dimension ride sequence, in which the elevator cars move horizontally through a star field, is mind-blowing. Get lost in the Twilight Zone at Disney's Hollywood Studios at Walt Disney World. One of the last attractions to have had the input of Walt Disney, Haunted Mansion remains a beloved, classic, must-ride experience. It doesn't so much tell a story as (gently) scares and amazes guests with a hodgepodge of wonderful gags, illusions, and effects. The Haunted Mansion is located in Disneyland and the Magic Kingdom at Walt Disney World. Using Disney's innovative and thrilling Enhanced Motion Vehicles, wildly elaborate sets, and stunning effects, Indy is one of parkdom's crowning achievements. It retells the classic story with a you-are-there immediacy. Adventure with Indiana Jones at Disneyland. This Cars ride is at Disney California Adventure. This ride can be found at both Universal Studios Florida and Universal Studios Hollywood. Half the fun and the wonder of the reprised Star Tours (which got a major makeover) is that you never know where in hyperspace the ride will take you. With multiple storylines and a random sequence generator, you'll likely never get the same ride twice. One of the first motion simulator attractions, the revamped Star Tours is now even wilder. Experience Star Tours at both Disney's Hollywood Studios and Disneyland. You'll find this experience at both Universal Studios Florida and Universal Studios Hollywood. In 2016, Disney updated Soarin' over California with brighter and sharper projectors and new, high-resolution digital content. Passengers now take a simulated hang gliding journey to spots such as the Great Wall of China and Sydney Harbor. You can soar at Epcot and Disney California Adventure. Nostalgia-fueled adults adore Disneyland's classic Submarine Voyage and were no doubt thrilled when the Mouse brought back the decommissioned ride. But this isn't your Grandpa's Disney ride. By incorporating a clever and engaging Finding Nemo overlay, the attraction has a broad appeal. Disney incorporates centrifuge technology that really pours on the positive G-forces (not unlike NASA's own astronaut training regimen) and melds it with a simulated journey to Mars. The result is a unique, giddy ride experience. For ride wimps, there is a non-spinning version that takes a different journey. The experience is located at Epcot.